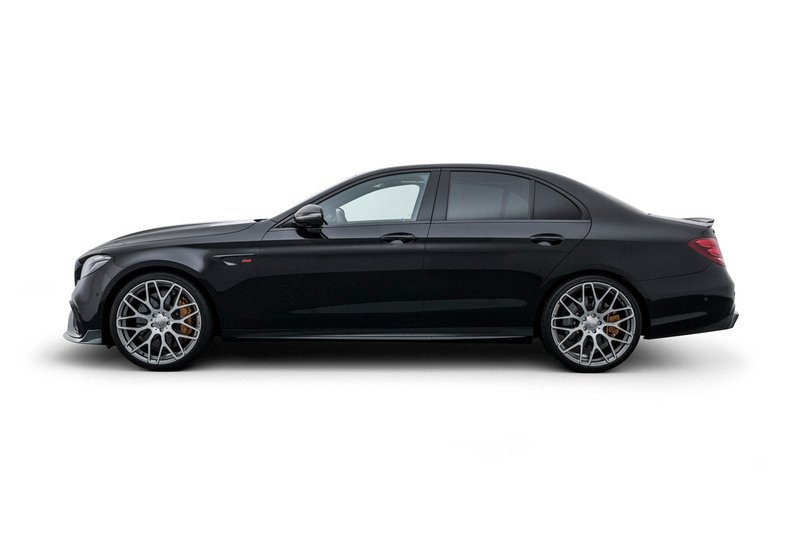 With a peak output of 588 kW / 800 hp (789 bhp) and a peak torque of 1,000 Nm (737 lb-ft), this high-performance sedan delivers superlative driving performance: The four-door takes just 3.0 seconds for the zero to 100 km/h (62 mph) exercise. 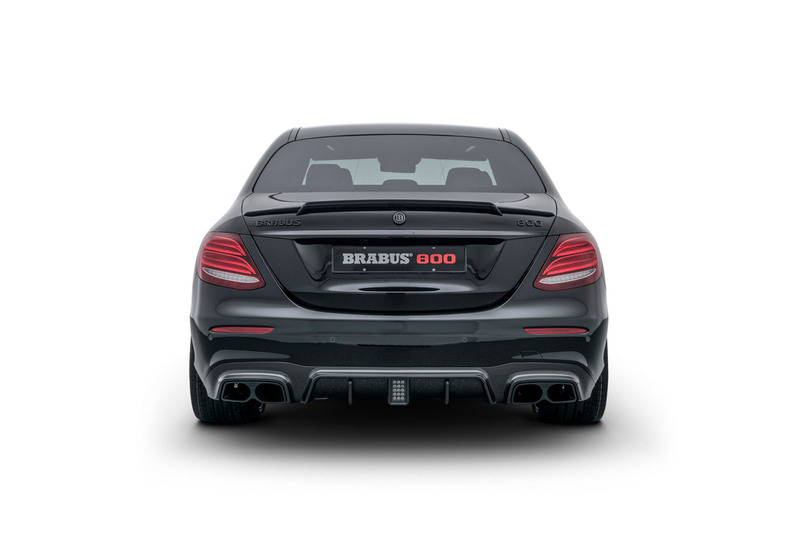 The top speed is electronically limited to 300 km/h (186 mph). 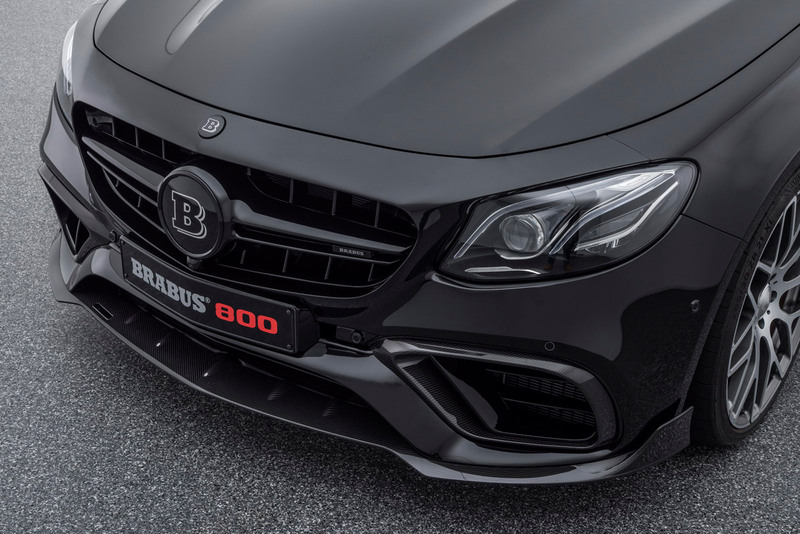 Of course, BRABUS also refines the looks with a sportily and elegantly styled naked-carbon aerodynamic-enhancement kit which includes two reconfigured BRABUS high-performance turbochargers which generate a maximum boost pressure of 1.6 bar, and hi-tech forged wheels with a diameter of 21 inches. 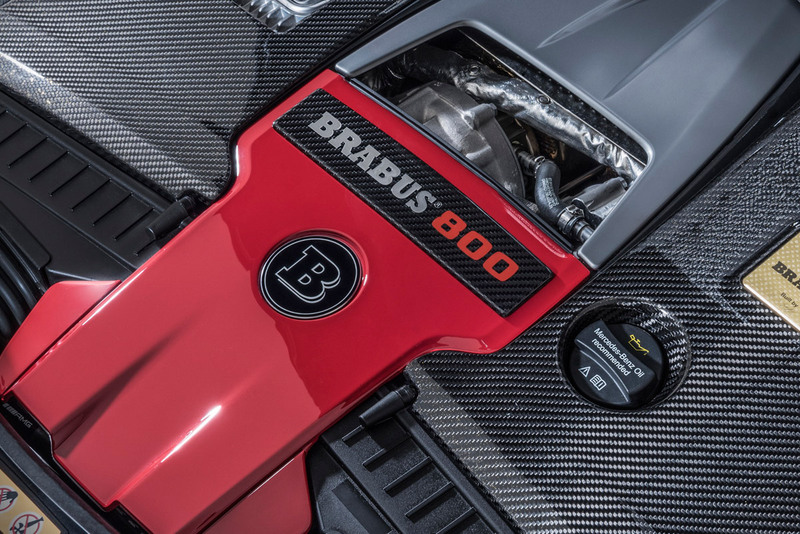 Another special domain of BRABUS is exclusive interior refinement. 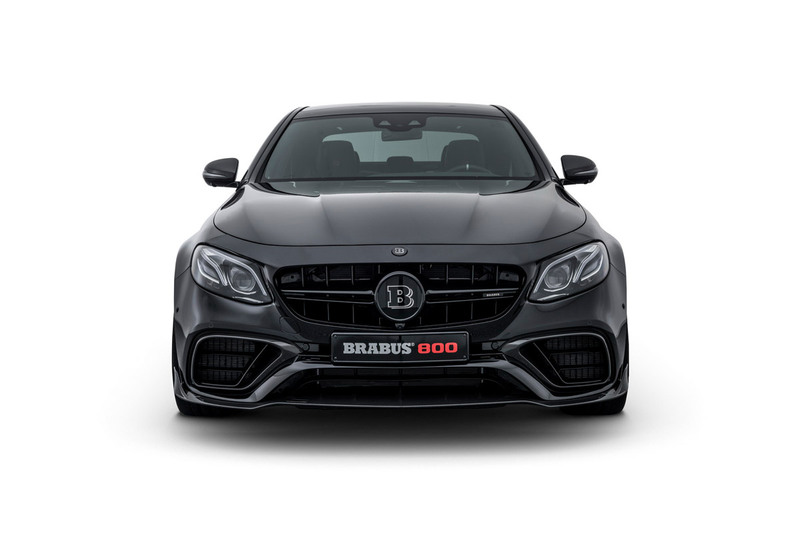 Under the “BRABUS fine leather” label, the company upholstery shop transforms the finest leather and Alcantara into interior appointments that fulfil even the most individual customer requests. 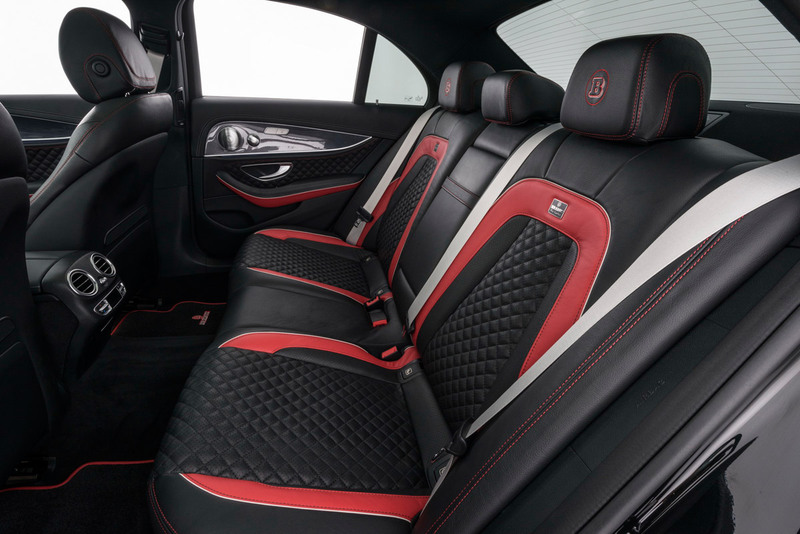 There is virtually no limit to the choice of colors and upholstery designs. 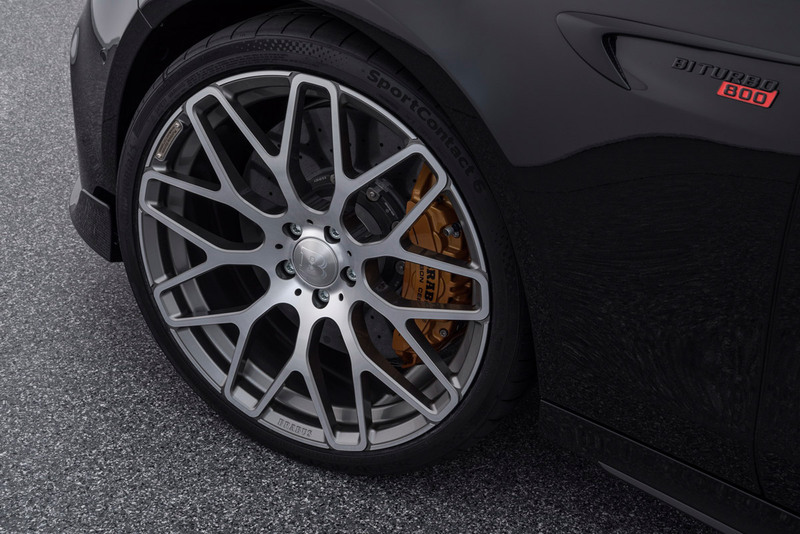 In addition, there are noble-wood and genuine-carbon inlays, which can also be tailor-made in a wide range of colors and versions to suit the owner’s personal taste. 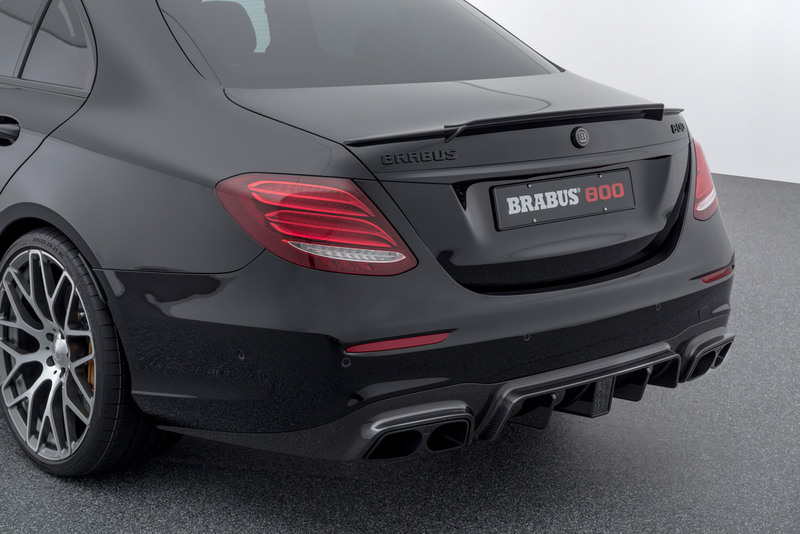 The BRABUS 800 can be ordered as a complete car, sedan or wagon. 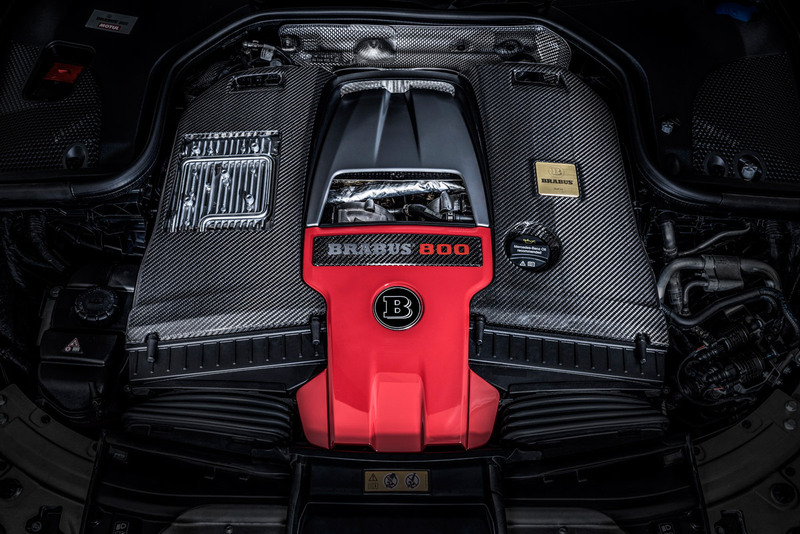 Upon customer request, BRABUS converts any current Mercedes E 63 4MATIC+ to this performance level either all at once or in stages.